Since the advent of smartphones several years ago, there has been direct competition between two predominant beasts. Firstly, there’s Apple and the iOS monster and, of course, there is Android. If you’re a startup app developer, you might be wondering which platform to tackle first. The easy answer? Android (usually). There may be times when starting out with iOS might make more sense for you, depending on the app itself. 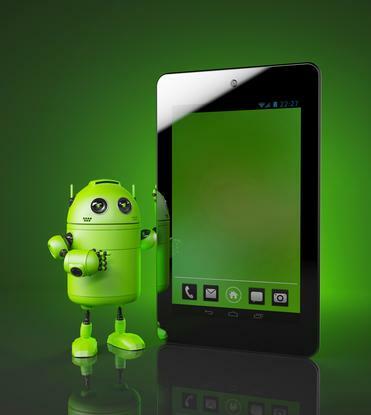 Android, however, has many advantages and being an Android app developer can certainly enhance your chances for success. So, what are these advantages? In the first quarter of 2010, iOS had 15.4 percent of global mobile market share, compared to Android, which was at 9.6 percent. Fast-forward to the present day and Android has taken over the market with a staggering 87.7 percent share. That kind of growth is incredible and if you create an Android app the right way, you can be hugely successful. While iOS can sometimes seem more lucrative, think of the overwhelming reach and growth potential you have from targeting the Android market. It’s no secret that if you get a successful app launch on iOS, you can earn a lot of money. That’s because iOS users are much more likely to actually purchase applications (which can also be a curse as it means your app has to be the best of the best). On Android, however, you are much more likely to make your money through ads, in-app purchases and a freemium template. If you manage to implement the right monetization strategy, you could earn an overwhelming amount of money. Freemium models are hugely popular – they cost the user nothing to use the app, but then to progress or to access different features, users are charged money. It can be incredibly lucrative. While iOS has a reputation (and a well-deserved one at that) for hosting high-quality apps in the App Store, it comes at a cost. They are incredibly strict about what you can release and, as such, the slightest issue with your code could cause a significant delay in your launch as you fix the problem and then resubmit the code for approval. With Android, however, it’s as simple as uploading your .apk file to your Google Developer Portal and, within a few hours, you’ll know whether or not it was approved. They’re a lot less strict about meeting certain standards, so if you’re a new Android app developer, you can test the market with your product and then as you learn, you can tweak, update and improve that initial design. It’s cheaper to develop your applications for Android. Not only do you not have an annual fee to be a developer (whereas iOS charges you a set fee each year), but also the SDK tools are all free. Your highest costs will be the actual design phase of your app. This includes graphics and assets, coding and audio creation at a bare minimum. You could, of course, pay more for marketing, ASO and other things to improve the odds for your success. The overall cost of app development, though, is a lot cheaper on Android. A complex app might cost you around $20,000 to get outsourced for Android whereas, for iOS, you could be looking at much closer to $50,000 for the same app. Finally, the development tools available are a clear advantage. The Android Studio developer tools run on both Mac and Windows machines. The iOS alternative, however, runs on Macs only. This can be a major setback if you are working with a team and one or two of you are on Windows, as it restricts their ability to contribute without making a huge investment beforehand. Android is the clear winner for those looking for low initial costs and high growth potential. As an Android app developer, you can monetize your app in several ways. This can be hugely profitable if you go about it the right way. Also, you’ll enjoy greater freedom during the development and launch process. If you are testing the waters in app development, you really can’t go wrong with Android.